I am new to the writing of seasoned author DiAnn Mills but am definitely a convert to her romantic suspense’s after reading The Chase and The Survivor. In the first book in the Crime Scene: Houston series, The Chase, Kariss Walker is an author who wants to write about a crime that had haunted her for years. She gains a favor from the FBI and manages to work with Special Agent Tigo Harris who is not too happy to be babysitting the annoying author, much less dig up a cold case that also gnawed at him. In the process of her research, they get the cold case reopened but the quest to find justice for the murdered child puts both their lives in danger. 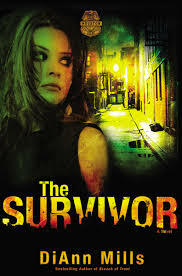 In the second book, The Survivor, Kariss is recruited by a psychologist who was once brutally attacked and left for dead as a child. Dr. Amy Garrett wants her story told but suspects that doing so may flush out the murderer who accidently let her live when so many others died. Kariss had dated Tigo but had walked away from the relationship because of his lack of faith in Christ. 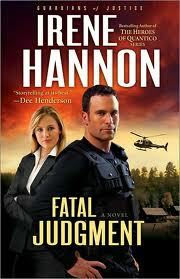 They are drawn together as she once again finds herself in the crossfire of a cold case turned hot. 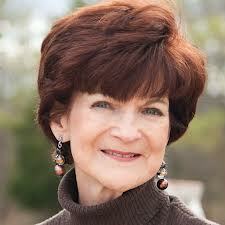 I really enjoyed the action and attention to detail that DiAnn weaves into her stories. She obviously has done a lot of research and work with the FBI to be able to tell tales like this and that alone makes them fascinating. They are filled with complexity and depth and rich characters and I fell in love with tough cop Tigo and too-stubborn-for-her-own-good, Kariss. I look forward to book number three. Please, DiAnn, say there will be one! 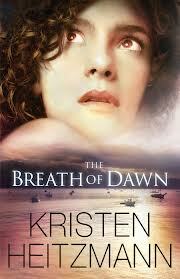 I came across Kristen Heitzmann’s book, The Breath of Dawn, as I read it to judge for the INSPY award. This book was one of the top five for the romance short-list. And it WON!!!!! This is what our final statement about the book was: Irrespective of the category The Breath of Dawn was judged by, don’t let that fool you; this novel is much more than just a romance. It’s full of excitement, challenges and a heart-tugging romance that blossoms under the sanctity of marriage. 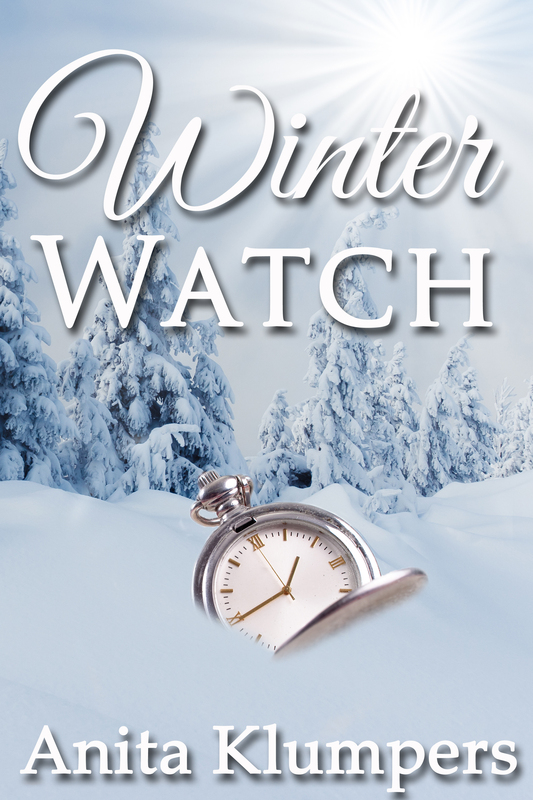 Kristen Heitzmann deftly balances romance, suspense, history and a much-needed spiritual message without letting any element suffer out of respect to another. The romance between Quinn and Morgan is tender, yet blossoms into something more passionate over the course of the story. The growing relationship between our hero and heroine is believable, and assisted by fleshed-out secondary characters who begin to feel like family by the end of the novel. Quinn’s appeal grows when the reader learns that she grew up in a cult-like religious community, introducing a backstory that makes her all the more relatable. The discussion of the community is a bold move on Heitzmann’s part, but it is dealt with in a manner that is neither derogatory or sounds like a sermon. The spiritual message in The Breath of Dawn organically grows out of the story, tying all of these elements together to produce a well-rounded, satisfying story. I had never read Kristen’s work before and was immediately drawn into this book and found it almost impossible to put down. Morgan Spencer is a business guru. He solves problems but finds his life derailed when his wife dies in a tragic accident leaving him the father of their three-month-old daughter. He hides away at his brother’s ranch, writes books and licks his wounds. Quinn Reilly is living under the radar, running an Ebay business and hoping that the brave testimony from her past against a cultic pastor doesn’t catch up to her. Morgan and Quinn meet and are instantly attracted, but Morgan can’t risk his heart and Quinn is prepared to run if her troubles come hunting for her. Trouble does come and Quinn does run – straight to the master-problem-solver, Morgan. Together can they solve their mutual problems without risking their hearts? As they confront the pain from both of their pasts, can they come out the other end alive and with their hearts intact? I loved this novel for several reasons. First, it’s a romantic suspense and Kristen does a great job in getting you to care about both of her main characters without painting them as saints. Second, Kristen brings up the idea of cultic heretical teaching and the gullibility of many to be sucked into that. While that may seem a fictional, unreal circumstance it unfortunately is very real for many people. I love that she made those people human, even though they were terribly deceived. Third, grief is a tragic burden for anyone to bear and heal from, but healing does occur and Quinn is a sweet woman with a deeper compassion for others than one would expect for a girl who had been denied that in her own family. Fourth, faith is treated in a very real way. There is no preaching here. The concept of not asking God for anything – only to praise him because it seems manipulative to make a request (coming out of a cult this is a natural thing), is juxtaposed with the imagry of a loving father (Morgan). Last, but not least, there is a minor story of the treatment/abuses of the mentally ill and it is treated with grace and compassion as well, instead of mockery and ridicule. There is much to love about this story. The only down side was that it ended and I so wanted to read more of happier days for Morgan and Quinn. 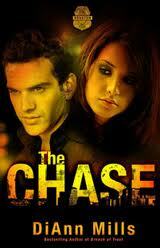 I’ve become a fan of romantic suspense. What can I say? There’s something about the danger and a man of honor willing to lay it all on the line for his team, his country and the people he loves. This series looks at a group of men assembled for black-ops. Undercover international operatives that are not acknowledged by the government but go in and do the dirty work no one else wants to. The name of this team is Nightshade (also title of the first book) and is made up of men with dark pasts who have been spat out by the military and struggling with issues related to what they did (like PTSD) struggle to fit into the real world again. Nightshade gives them a purpose and a community to rehabilitate in as it were. The first book tells the story of Max Jacobs (aka “Frogman”)– a former navy SEAL who is on the verge of divorce because of his anger issues. He’s still in love with his wife, who works as a reporter. Max is is the leader under the authority of “The Old Man” General Olin Lambert, a member of the joint chiefs. He equips them and gives them their orders and works to help them when they need it. General Lambert grows to love these men like they are his sons. Max’s wife Sydney is distraught – and unbeknownst to her soon to be ex-husband, pregnant. Her nosey news search almost uncovers the very rescues her husband is undertaking, putting the team at risk. Her journeys take her directly into his path and things get messy. With the help of his friends, Max finds his way back to what’s really important to him in this life. Oh, and they defeat the bad guys too. Colton “Cowboy” Neeley has a four year old daughter and is falling in love with a woman working at a department store. “Cowboy” loves wearing the hat and boots and talks with a Southern drawl. In book one he is the man who has the common sense on the team and is a close friend to Max. Unfortunately, Piper Blum, the woman he falls in love with, has her own secrets, secrets that put Colton’s family into a life-threatening situation as well as his team. The struggle for faith in the face of grief and deception all around is a riveting read as Colton faces his flashbacks and finds love along the way. A mission gone bad, a secret addiction and growing attraction lead to unforeseen consequences and deep pain as they are captured, separated and tortured. Canyon finds that the past and the present come together to exonerate him but along the way he acquires a family while alienating his brother after trying to “man up” and take responsibility for his mistakes. This was probably the hardest book in the series to read. It’s like a massive puzzle piece of points of view as Nightshade has been attacked and dismantled but they don’t know by who. A spy, Kazi Falcon is hired by the General to bring the team together again. Her first job is to break Griffen “Legend” Riddell out of a maximum security prison. Once on the run and out to save the others, Griffen falls hard and fast for the secretive Kazi. Kazi however has her own battles to fight as she tries to complete the mission that the General has hired her for and has learned that men are not to be trusted. As the team reassembles from various areas of the globe the tension ratchets up with every page turn and the ending had me in tears. These are fast moving, adrenaline pumping books and hard to put down. One caution – do not read them too close to bedtime, if you do, give up sleep and just finish the novel. You’ll rest better for having gotten to the end! It’s sad that this is the end of the series because I am sure I could have read far more books about this team. Ronie encourages readers to connect with www.soldiersangels.org to adopt a military man and offer support for those who put their lives on the line for our freedoms. Normally I review one book – but this time I’m giving you the whole series, because hey, when you start a series it is beyond cool that you can read every single book because they have actually been written. No waiting around for the next installment! Dee Henderson’s Uncommon Hero’s Series is just that – a four book compilation of romance and suspense. 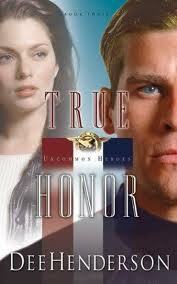 The difference between this series and The O’Malley Series is not only in the context of “heroes” but also that in this book, both the male and female protagonist are all believers in Christ – so the relationships start out with that firm foundation, something the O’Malley’s did not have on their side. This series is a beautiful tribute to the men and women who serve, often without notice, and willingly risk their lives to preserve our freedoms. 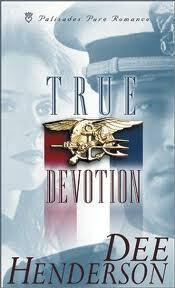 Book one is True Devotion. This book looks at the life of a Navy Seal, or more importantly, his widow who works as a lifeguard close to the Seal base of operations. Since her husband’s unexplained death Kelly Jacobs has leaned heavily on his best friend, Lieutenant Joe “Bear” Baker. Joe, however, is harboring a few secrets and a lot of guilt. He knows Kelly’s husband, Nick, died saving Joe’s life. He also struggles to admit that he’s fallen in love with Kelly. That is until she nearly drowns and tells him that she loves him. Then the real adventure begins as they try to sort out their relationship as the enemy responsible for Nick’s death, returns and puts Kelly in danger. Can love survive the trials of SEAL life? I loved watching the relationship struggled and each fought against the doubts and worries as well as their faith in the midst of the challenges they face. The action just keeps coming and Dee Henderson does a masterful job of giving details, enough to keep the action moving and not too much to bog you down. 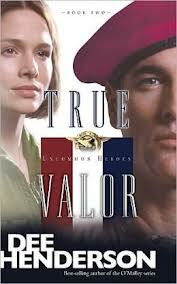 In True Valor, Major Bruce “Striker” Stanton is a parajumper who is not fond of the water. His only living relative is his sister, Jill, who is a civilian dating a Navy Seal, “Wolf” who works with Joe “Bear” Baker from book 1. Jill’s best friend is Wolf’s cousin, Lieutenant Grace “Gracie” Yates who is a fighter pilot with the Navy. After a near death experience, Striker writes her a letter. She gets it before her next deployment and they strike up a relationship by mail. Gracie can’t see how a relationship can survive military separations but starts to fall in love with the man who writes her letters baring his heart and cracking open hers. When her plane goes down in enemy territory, it is Striker who rescues her and finds that he is in love. Now he just has to convince her to take a chance on him. This was not a wishy-washy relationship, on and off type of thing, this is one that blooms over time, distance and real physical threats. I enjoyed the letter writing part of this which is a unique way to tell part of a story and reveal character’s hearts. Again, Dee Henderson gives lots of details about missions and planes and made me realize I would never want to be one of those people flying and trying to land on an aircraft carrier! I felt anxious with every landing! That’s how well they are written. True Honor is book number three. Darcy St. James retired from the CIA after being awarded the Intelligence Star for Valor. She’s a spy. Or at least she was. But with a contract out on her head she’s retreated to the seclusion of North Dakota and a much more relaxed life until circumstances pull her back into action just before the 9-11 attacks. Chief Petty Officer Sam “Cougar” Houston meets Darcy quite by accident after his friend Wolf’s wedding (from book two). He is one of Joe “Bear” Baker’s bear cubs and Wolf is his partner. Serving as a Navy Seal his specialty is working as a sniper. He rescues Darcy after she is attacked in a flubbed attempt at murder and sticks with her as events unfold around the world to reveal terrorists. Much of what Darcy uncovers sends Cougar into danger to help route the enemy. Eventually together they succeed and perhaps find love in the process. Lots of detail and intrigue in this novel. (Not that there wasn’t in book one as well, book two’s enemy was war-time deployment and battles fought on foreign soil). The connection between Cougar and Darcy is quick, but it lasts, especially as they realize they both share a faith in God. 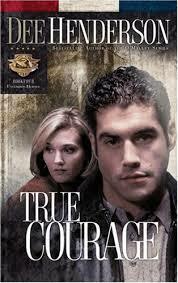 The fourth and final book in the Uncommon Hero’s series is True Courage and it is a bit of a departure from the other three. There is no connection to the Navy Seals whatsoever and none of the characters from the first three novels emerge in this one. Having said that, FBI agent, Luke Falcon, still has his hands full and when his job takes a twist and becomes personal, it tests his faith and confidence. Caroline Lane is a fifth-grade teacher and while she’s allowed her relationship with Luke to coast for a year, she’s beginning to think that it is not worth it since he repeatedly cancels out on their dates and is distant and distracted with work when they are together. But when Luke’s brother and her sister who are married, and Caroline’s nephew disappear on Labor Day weekend, Caroline knows that Luke is the only person she can turn to. This novel is unique was well in that the timeline of it is about a week in duration. With kidnapping and murder happening and clues to each hard to find, Luke and Caroline struggle to learn to trust and depend on each other, and God to get them through. This book is one that, both times I’ve read it, I had to go back and read parts of the ending. They were so well written. I was sad to see the book end, but when it did I had a smile on my face, contented for having taken the journey.